A meat raffle is a tradition of raffling off meat common in Minnesota and Wisconsin. Raffle tickets are sold in pubs and the winners take home packets of meat. The proceeds are donated to a local charity. The meat raffle has traveled to the Pacific Northwest to a brewpub in Portland. 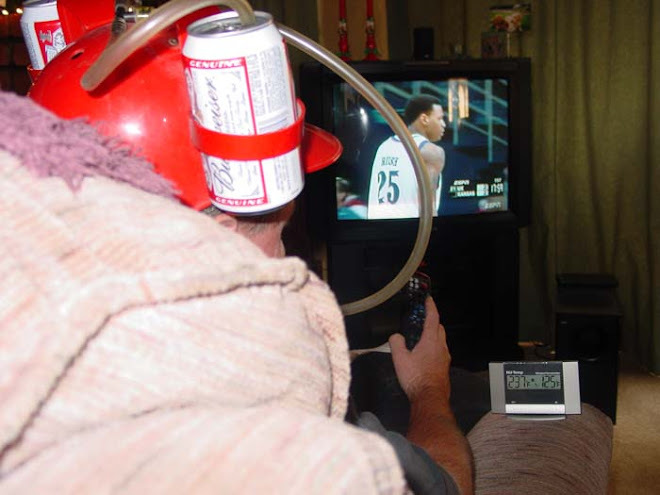 This is the best idea since sliced bread. Unfortunately Portland is 613 miles away. 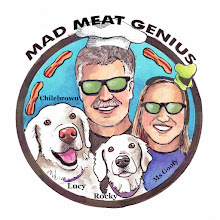 We will have to wait till Meat Raffles come to the Bay Area. How would we start one? You have lots of butcher contacts - why not ask them? Id love to see a picture of that Chris, lol. 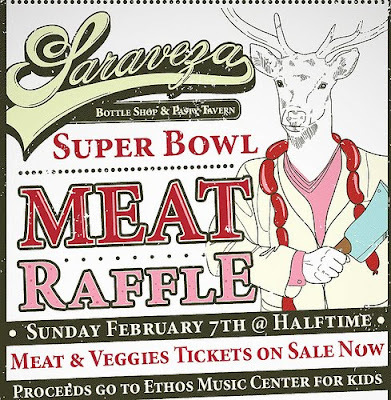 A online meat raffle would be good, like the hot sauce super bowl thing that they do on the hot sauce blog. It could raise alot of money, just freeze dry ship it or something.